Last month, I had the privileged of attending Kristen + Daniel’s wedding at the Vancouver Club, a private club that hosts weddings in an elegant and classical interior – one of very few such venues downtown Vancouver. 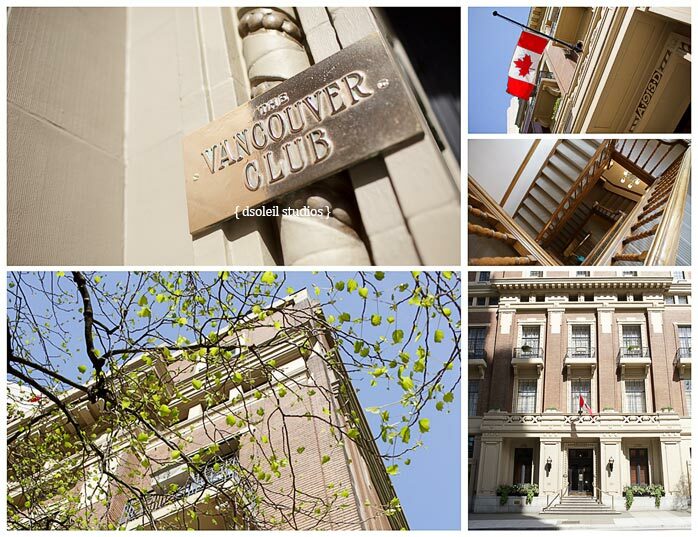 The Vancouver Club is one of Vancouver’s oldest prestigious professional clubs. It is located on West Hastings Street just steps away from the Vancouver Convention Centre and Canada place. The surrounding neighborhood features a mix of classical and mid-century modern facades and an amazing view of Burrard Inlet and Vancouver’s north shore. It has larger interior rooms for wedding ceremonies, cocktail receptions, and a grand ballroom with a capacity of up to 200 for larger dinner receptions. 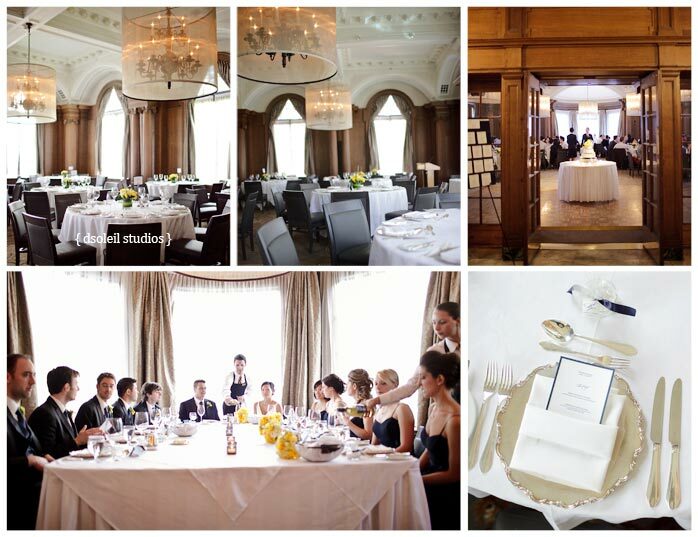 The Vancouver Club also has 8 rooms for on-site accommodations should you decide to say on location on the evening before or on your wedding day.